The UK-listed miner’s South African unit wants to sell high-cost mines that account for a quarter of platinum production and half of the workforce. It’s a sensible move for Anglo, but the politics are fraught. If the buyer gets into trouble, Anglo might end up back on the hook. Miners walk at the end of their shift at the Anglo Platinum's Khuseleka shaft 1 mine in Rustenburg, northwest of Johannesburg, January 15, 2013. 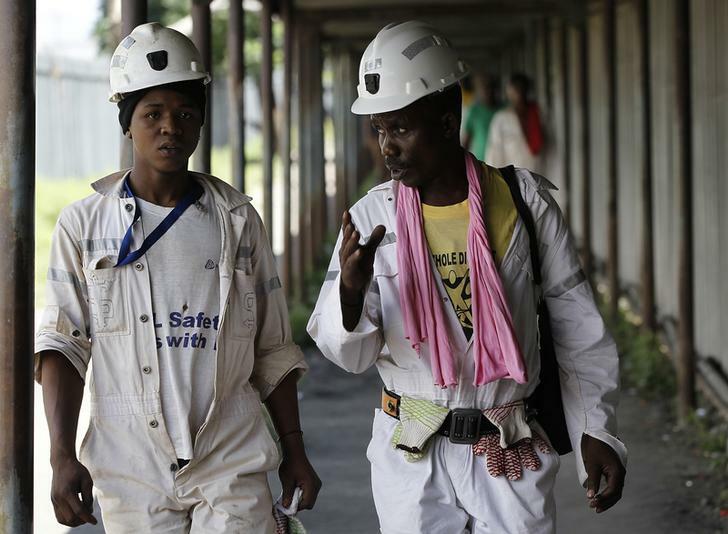 Anglo American Platinum, the world’s top platinum producer, on July 21 said that it planned to sell its most labor-intensive South African mines. The company’s Union and Rustenburg mines, along with another joint venture, account for a quarter of the company’s production capacity, but employ about half of its workforce. Anglo American Platinum, also known as Amplats, is 80 percent owned by the UK-listed diversified mining group Anglo American. Amplats said a recently resolved five-month strike hit its platinum production by 40 percent in the second quarter. Amplats’ shares rose 4.4 percent in Johannesburg. Anglo American’s shares rose 0.6 percent in London.